One of the reasons we set up Discuss was a frustration with playing it safe. So many events and discussions, even those purporting to be "great debates" tended to lack danger, jeopardy and a firm point of view. A diverse panel of people would gravitate around a mushy consensus. Often best summed up as "I agree with Howard." We try and find the fault line. We try and root out the outriders, dissenters and free thinkers. It's one of the reasons I wanted Douglas Carswell to join our debate on politics last week, a task to which he really rose to. Our next Discuss debate will feature Catriona Watson, who is part of a group of Manchester University undergraduates who set about challenging the economics syllabus and teaching methods at the university in response to the financial crash, demanding that they be ‘seriously rethought’. Their challenge is that, despite the Financial Crisis, students are still routinely taught that only one form of economics is ‘scientific’ and ‘correct’. Their aim is to build a national Post-Crash Economics movement, and students at Cambridge, LSE, UCL and Sheffield have started similar societies. This brings me to the whole challenge of critical thinking and how innovation and invention is encouraged in a spirit of dissent and debate. I've been involved in two absorbing events this week where this has loomed large. One of Manchester's orthodoxies is that Graphene Valley will be our saviour. Sir Andre Geim (above), the Nobel Prize winning scientist, scoffed at such talk on Tuesday night in Spinningfields at an event my friend Vikas Shah curated. "There is no aluminium valley, no polymer valley. Silicon Valley is about software, not silicon." He told a story of how on a boat trip watching dolphins he experienced a magical moment. These magnificent creatures seemed to be communicating with the humans on the boat. Then, a little girl piped up "can we eat them?". This is what the rush to define and commercialise Graphene feels like, he said. 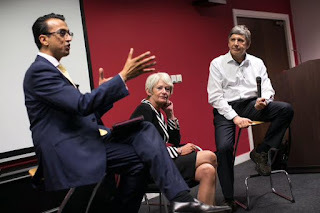 I was singled out by Vikas to contribute to a discussion with this Nobel Prize winning scientist and the president of our University, Dame Nancy Rothwell (also above) about what the Manchester method is and what it gave me. There is an absurdity that a 1980's undergraduate sociology experience can exist on the same moral and intellectual plane as what these two are doing, but humbly I offered "a rejection of dogma, a respect for the other point of view and a visceral suspicion of data." That answer, and the slightly better one I could have given, have been on my mind all week. At a conference I ran on Thursday for eLucid we assembled a sparkling array of companies (Samsung, Bayer, GSK and our NHS) who were generous enough to share ideas on how wastage in how medicine is dispensed can be eradicated. It was a fascinating journey into health innovation. As Rowena Burns said in opening the event, "in Manchester we collaborate as a matter of habit, it is so deeply embedded in how we work." At first I thought this seemed to contradict what we'd spoken about on Tuesday, but it doesn't. It reinforces it. It also backs up my earlier view about resilience, toughness, generosity and a strong sense of mission and purpose. Never playing it safe, but challenging orthodoxies. Elsewhere, I'm researching the challenges of family businesses for a project. How does a professional chief executive running a family owned business make decisions that jar with the wealth preserving instincts of the family office? Is it easier or harder? How do families with different aspirations - preservation or innovation? - require outside help to navigate insurmountable internecine conflicts? I have a hit list of families I want to speak to, but I'm sure there are more - please get in touch if you'd like to suggest anyone who'll be willing to share a view. As I've been absorbed in these fascinating business issues national Westminster politics seems to be something that goes on somewhere else. These challenges seem entirely unconnected to whatever it is that will be troubling the Labour leader before his big speech. 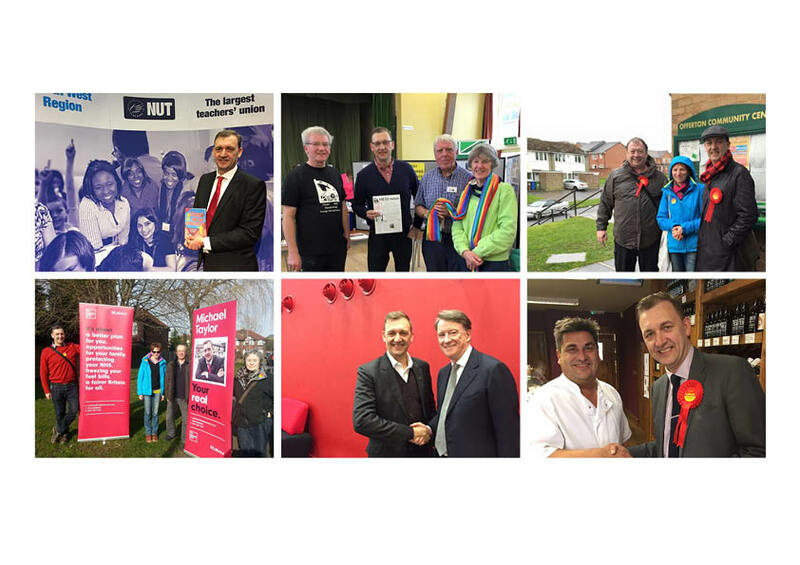 But I find myself seeing the deeper importance of how a large membership of a party connects locally and provides that challenge. I remain convinced that organising, empowering and convening are the key to survival as any kind of meaningful presence in public life. On Monday we selected a candidate to contest one of our target wards in next year's council election who has excited me with a vision to just that and for the first time in months I feel upbeat at the possibilities of what can be achieved. I'm not afraid to say what I think about the disaster of the leadership, but it gives us a chance to reconnect with our purpose. I also wrote a piece this week for Progress, my neck of the Labour woods, on the plight of the Liberal Democrats. How their resilience at local level could yet be their existential saviour, but how that lack of a clear moral compass will end up hastening their demise, as evidenced here in Stockport. In summary: "Local government reform and budgeting is hard enough in an age of austerity but it is this lack of a political ‘true north’ that has resulted in job cuts, poor service delivery and no coherent vision for Stockport’s ailing town centre or its profound transport needs. It remains the only borough in the Greater Manchester conurbation to border the City of Manchester and yet be unconnected to the successful Metrolink tram network." 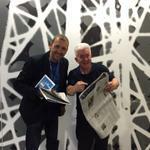 Finally, I was reviewing the newspapers on BBC Radio Manchester on Monday morning. The producer was fairly adamant that there could be no discussion of the allegations made about David Cameron on the front page of the Daily Mail by Lord Ashcroft. We skirted around it, I tried not to ham it up. But aside from mentioning that this was a story of vengeance by a man scorned, and taking it with the barrel full of salt required, it all brought to mind the pompous rock ballad of Meatloaf - I would do anything for love, but I won't do THAT. This week, ladies and gentlemen, I think we finally discovered what THAT is.